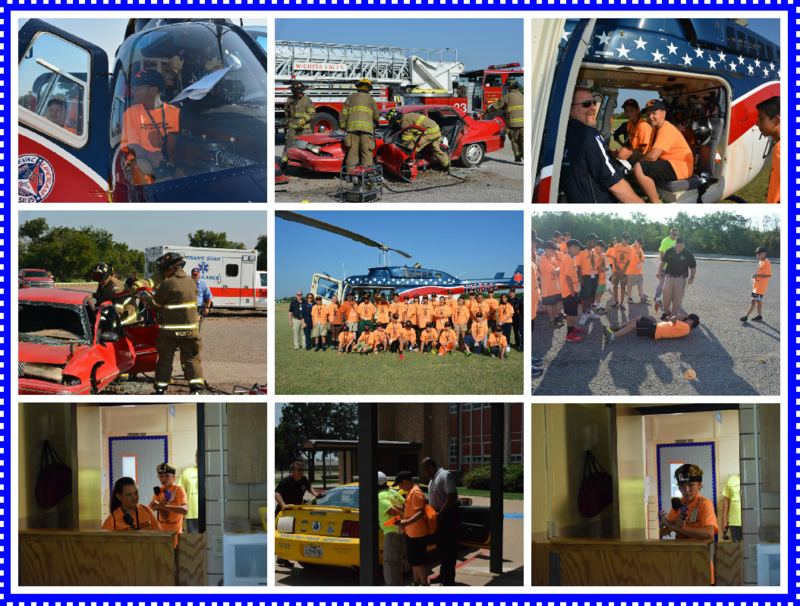 Today the Jr. CPA was visited by Air Evac, Trans Star and the Fire Department. They got to sit inside the helicopter and observe the WFFD use the Jaws of Life. Students also learned about Accident Reconstruction by Accident Investigator Paul Newton. The second half of the day was spent doing traffic stops and building searches where the students and “bad guys” had full waterguns as their weapons. Next year we hope to be able to have several Jr. CPA classes throughout the summer. Information will be given to all Jr. High students towards the end of the school year. Many thanks to everyone who helped put this together, donated their time, talents, equipment, & manpower; and, to the “Junior Citizens” who took an active interest in what goes on behind the scenes of our law enforcement team, & medical responders.